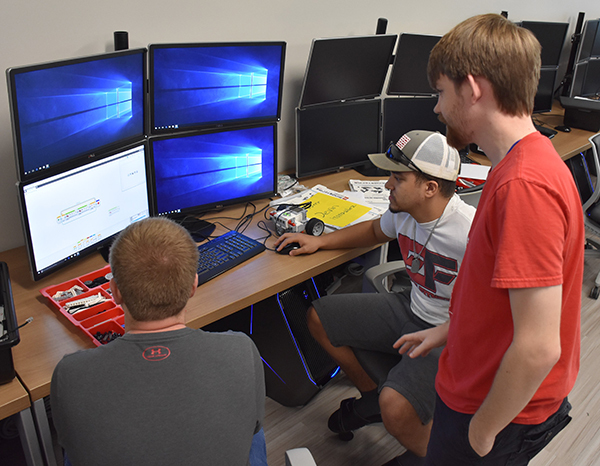 Victoria West High School students junior Riley Doerr, left, and senior Devin Gonzalez, middle, work on programming their robot on Monday as Andrew Polasek, a UHV computer science graduate student, offers some advice. Doerr and Gonzalez are two of 14 high school students taking part in the UHV School of Arts & Sciences’ after-school robotics classes on Mondays and Tuesdays at the university. The class is funded by a grant from Alcoa Foundation. Programming and computers fascinate Devin Gonzalez, so he jumped at the chance to take an after-school robotics class through the University of Houston-Victoria. Gonzalez is one of 14 students taking the UHV School of Arts & Sciences’ 2018-2019 Robotics, Programming and Simulation Courses/Research Projects funded by a grant from Alcoa Foundation. 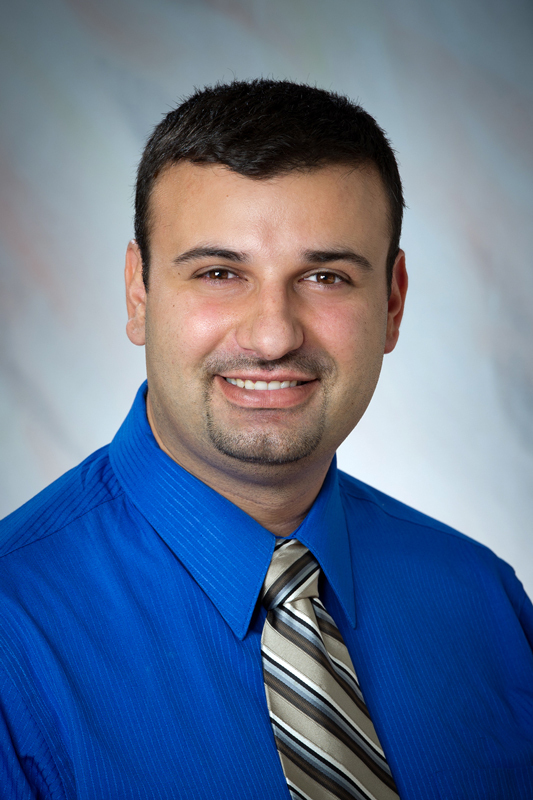 The courses are offered Monday and Tuesday afternoons in UHV University North and are led by Amjad Nusayr, a UHV assistant professor of computer science. The weekly course allows students to work in pairs to build and program robots to fulfill certain functions, such as solve mazes, recognize colors and follow a color-coded path. During the first class meetings, students took an assessment to evaluate their knowledge of science, technology, engineering and mathematics. During the last class at the end of the spring semester, students will take a similar test to evaluate how their knowledge has grown, Nusayr said. Jace Vasquez, a Victoria West junior, chose to attend the class because he wants to pursue a career in engineering, and learning about coding and robotics is a good fit for his studies. The overall goal of the class is to introduce programming to high school students, including critical-thinking and problem-solving skills. There also is a goal of helping students break away from the intimidation often experienced when studying math and programming, Nusayr said. Students in the after-school classes have been eager to learn about the different programming options and tasks their robots can complete. In addition to the class, the grant from Alcoa Foundation allows UHV to offer a robotics summer camp, a math camp, a Texas Women in Computing camp for middle school girls, and a Math & Robotics Awareness Day that allows high school students to learn about the uses of math and robotics in multiple fields. To learn more about UHV’s STEM activities, go to www.uhv.edu/stem-events.